One of the most hallowed spaces of any luxury dwelling is the home library; a space that provides reflection, relaxation and personal growth. Of equal caliber, albeit typically a completely different space, is the dedicated theater or media room that can bring fantasy, comedy and horror to life in theatrical fashion. A recent Cinema Design Group International (CDGi) client wanted to know if it was possible to bring these two spaces together as one and still retain the distinct characteristics of each. By way of a comprehensive upstairs garage remodel, CDGi successfully created a regal multi-use space that maximizes the best of both these spaces and more. Casual entertainment in the room is easily accomplished by way of two 80” televisions. However, when the client desires a more immersive or enriching experience, the room seems to magically convert to a dedicated theater space at the push of an AMX 9000i Modero touch panel. Motorized Lutron black-out shades drop down to control the ambient light. A 130-inch CinemaScope-formatted Stewart screen descends from the ceiling into prime viewing positiong. 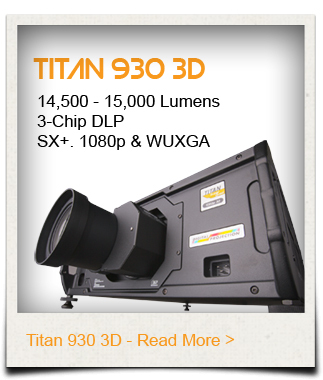 Simultaneously, a high-performance Digital Projection TITAN Reference 1080p 3D projector delivers the captivating content of choice from a Kaleidescape 3U media server. Completing the experience is a Meridian 7.2 surround-sound system. The remarkable room acts as the perfect stage on which spaghetti westerns, film noir classics and today’s blockbusters spring to life.